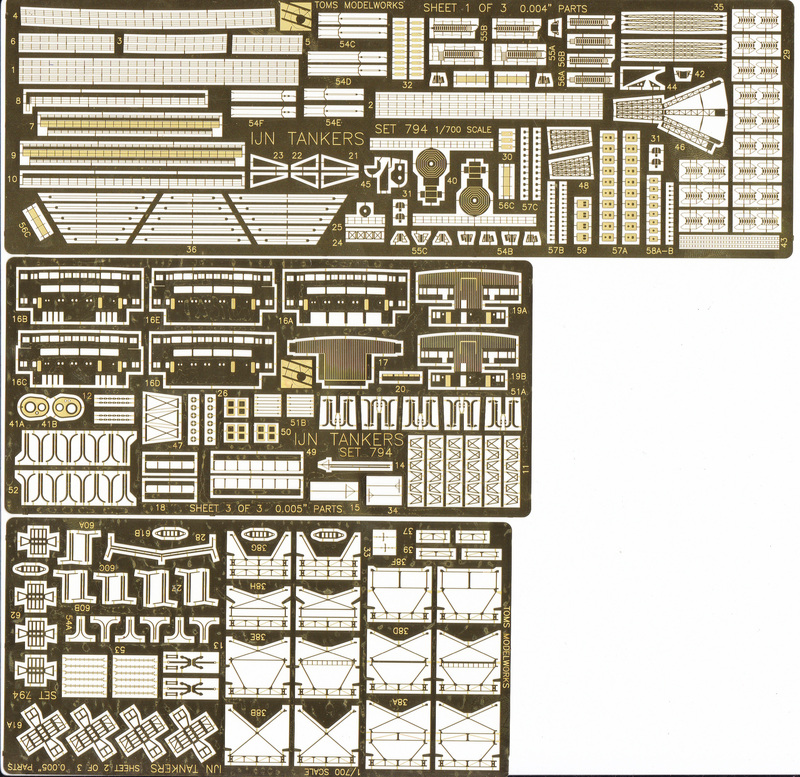 An extensive set to help detail the Fujimi kits. The set contains parts to help make any of the first twelve ships of this type regardless of which plastic kit you have. The set has catwalk details, new bridge fronts, new bridges, kingpost trusses, funnel caps, refueling crane booms, ladders, rails and much more. There are three frets of parts to help you make a showstopper out of these good, basic kits.